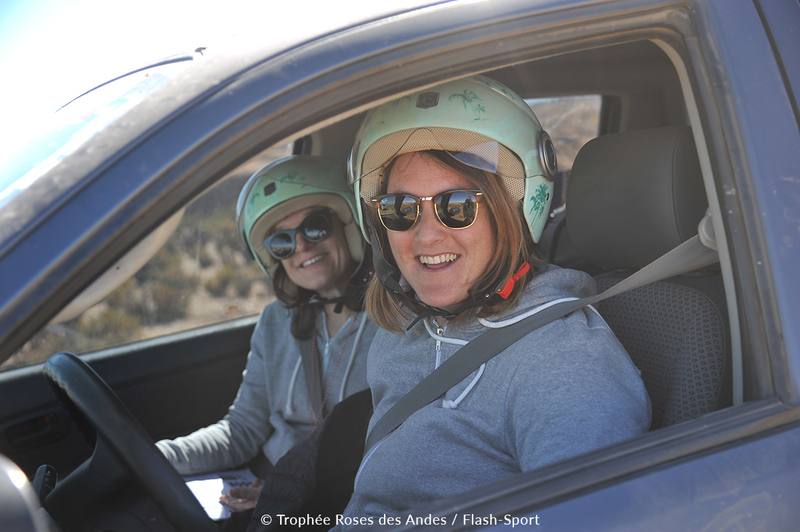 The Trophée Roses des Andes is a competition designed exclusively for women and inspired by the true tradition of the African rally-raids. On board of 4WD, the teams of two must finish the daily stage using a roadbook, a map and a compass only and respecting the different checkpoints (known as “CP”). The Trophée includes several orienteering and dunes crossing stages, as well as the traditional marathon stage, two days during which the teams are left in complete autonomy. Ranking is only based on orienteering; speed is excluded. In order to be part of this competition, you only need to form a team of two with a pilot and a co-pilot and to hold a valid drivers' license. 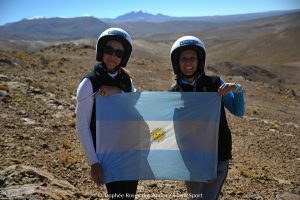 Beginners as well as expert pilots are welcome in the adventure of the Trophée Roses des Andes. 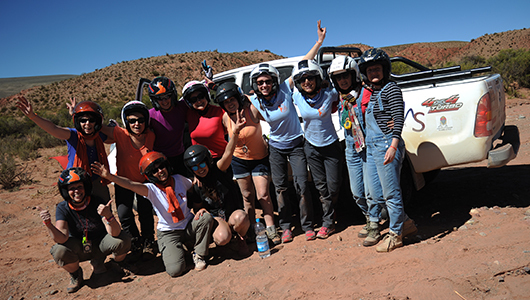 An adventure that is accessible, our goal is to allow any woman to take part in this international competition with a strong human dimension. 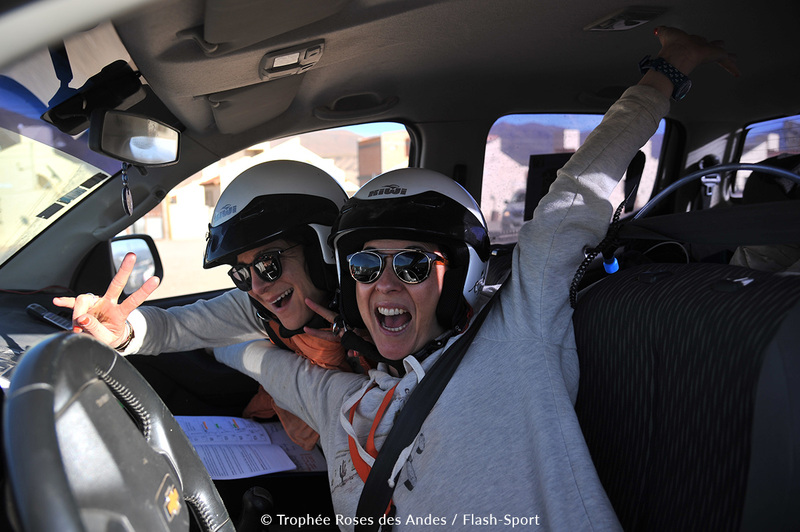 You feel tempted by the Trophée Roses des Andes adventure? So, do not hesitate any longer, join the community of the Roses by filling the pre-registration document online! 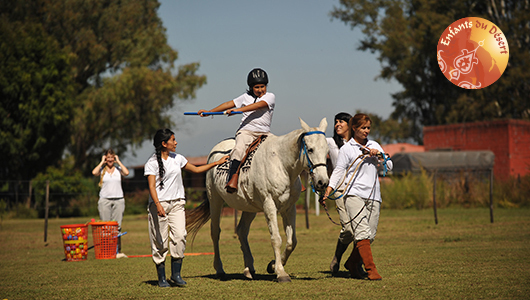 The Trophée Roses des Andes gives the opportunity to the participants to live a unique experience and to escape their daily routine. Soon caught up in the game, the Roses do everything they can to surpass themselves and to discover new strengths. 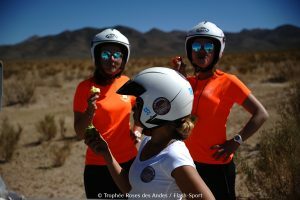 Find sponsors, learn how to use the vehicle and to orientate with a compass, get out of the sand, help each other… are some of the actions that await the Roses. 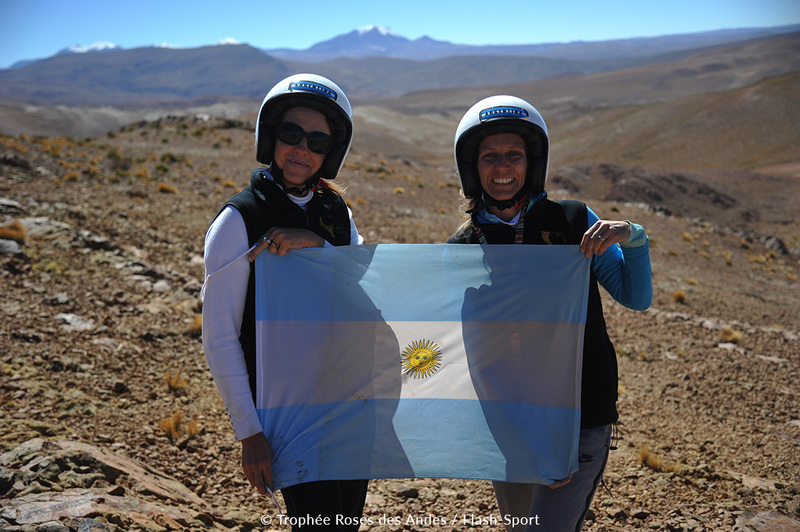 The Trophée Roses des Andes also means sharing. The Roses do not live this adventure alone; they all share the same will to face this new challenge and to surpass themselves but also to make new encounters. They will never forget the experience and the intense moments they share during the rally. For many years to come, the pride of the overcome challenge will increase their feeling of truly being part of the Roses community. 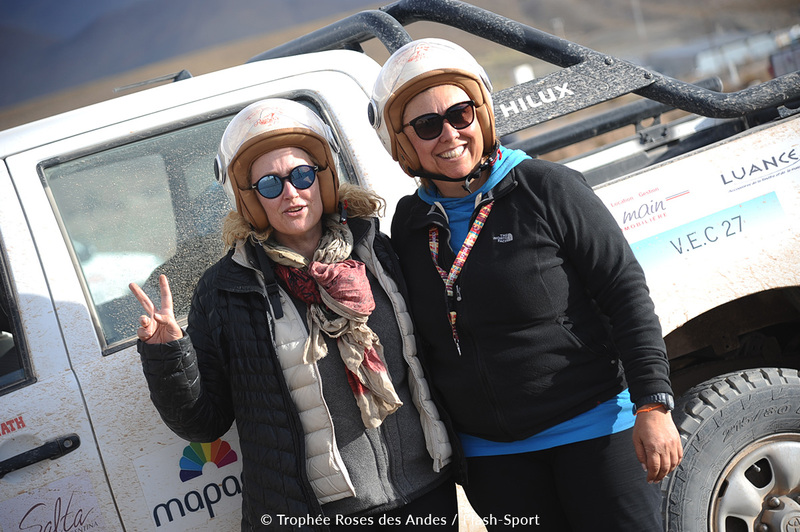 As the other rallies organized by Désertours, the Trophée Roses des Andes offers a strong solidarity dimension. 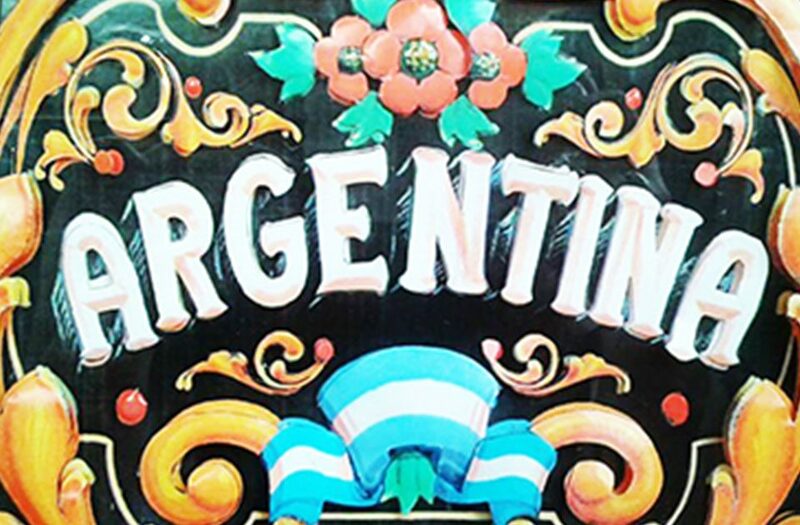 On the Argentinean tracks, the Roses do not hesitate one second to help each other so that they can all fulfil their dream. 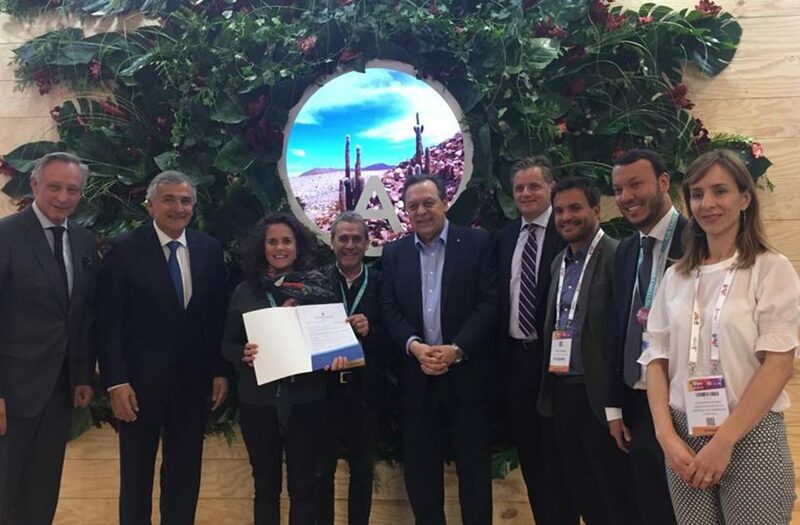 The solidarity also appears thanks to the Enfants du Désert association and their work in favour of small children. 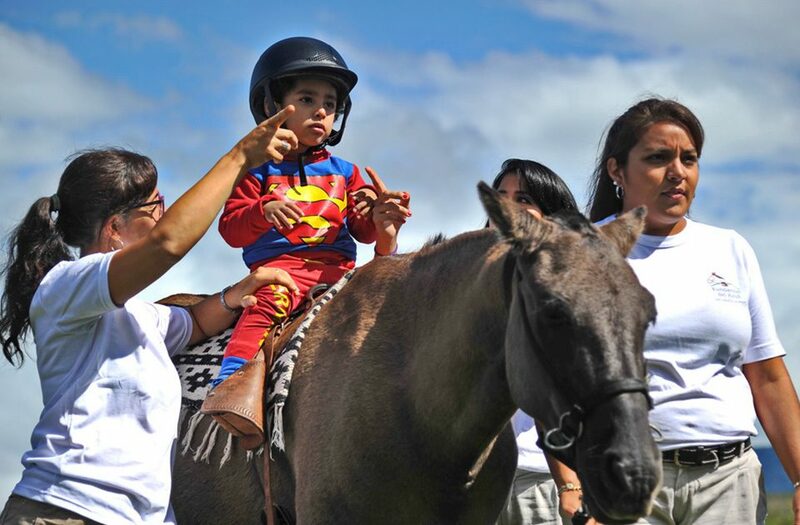 Every year, donations and financial support made by the Roses make it possible to finance the action of a local equine therapy association that helps Argentinean children with handicaps. We did not expect to see something that beautiful… It's like we are on another planet. Even if we come back, we will never see these landscapes so intensely. Today, we have seen the most beautiful landscapes in the world! Salt deserts, after crossing volcanoes and going up to 4300 meters high on mountain slopes where you do not even dare to blink for one second! It feels like we were in a dream!! 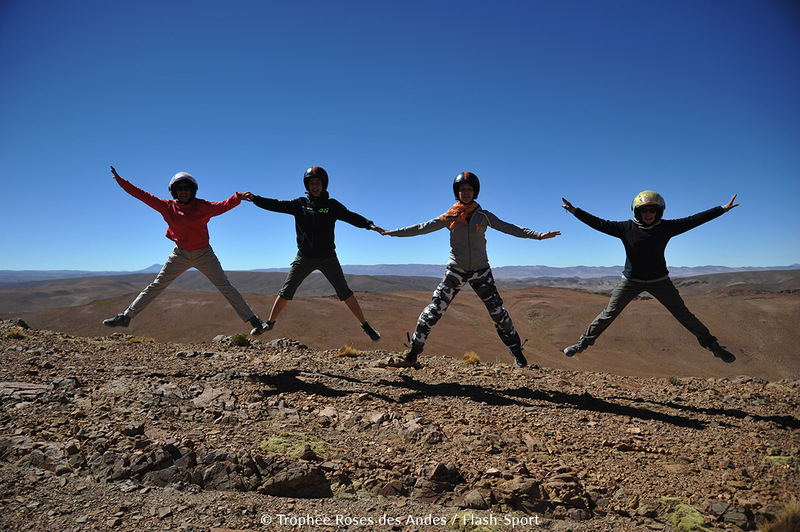 Breathtaking landscapes, rios, mountains, volcanoes and salt deserts... we have seen it all! 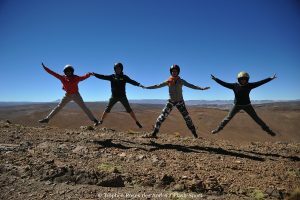 You should live this experience at least once in your lifetime: it is definitely worth it! What a fabulous show during this first stage! The atmosphere between the girls and with the staff members is extraordinary. We share so much! We have crossed many kilometres of tracks in a sandy un rio. A succession of tracks that gives you the impression to be surfing. Another beautiful day; it was a real pleasure, but too short, to have to cross the dunes. The stage was intense, technical and beautiful!